Civil Service is a branch of governmental service where people are employed only on the basis of their professional merit, proved by a competitive examination. 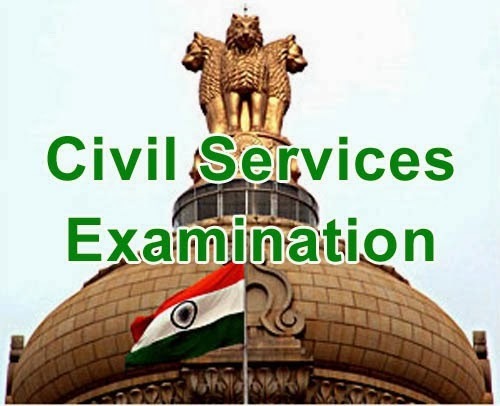 Civil Service Examination is held annually in India by the Union Public Service Commission (UPSC) for recruiting people to the Civil Services of the Government of India. There is no one particular defined way of studying. But one can always make their studies effective by following a schedule which suits their brain type rather than following stereotypical ways. Such type of examinations where the clearing expectancy is very low stress is likely to come. Despite of such facts, candidates should keep their mind calm and stress-free so that they are able to give their 100% to the preparation. The Civil Service Examination is a two phase exam for which a lot of theoretical subjects have to be studied. So making notes proves to a good idea. One can makes notes side by side with studying or after the topic is finished. The former method helps to revise the important points later from the condensed notes easily and the latter helps in memorizing what is studied, by writing it down.. The two phases of the examination consists of the two papers in the prelims and nine papers in the mains followed by a personality test (interview). Candidates must choose their subjects carefully only after taking an overview of the syllabus which they can study with full concentration. General knowledge and awareness is a must for the Civil Services examination so the students planning to appear for it should strictly follow one national newspaper and magazine to keep them updated with the happening in and around the world. Since there is a lot to study and remember and it is proved that the memory is most active at the beginning and end of studying sessions than in the middle, one should take short breaks in order to memorize more.. It is advisable to try and finish the course a month before the exams so that there is sufficient time to revise. Since the course is vast revision is very important but it should be free from any panic. Once the syllabus is completed the sample papers should be practiced that too a lot. Practicing sample papers gives you an idea of your accuracy level along with your speed. Not to forget, time management is one technique which needs to be mastered by the CSE aspirant. The candidate should manage time in a way that all questions are attempted with maximum accuracy rate which can only be done by practicing a lot of mock papers. Though one has to study really hard, one must not forget the importance of a good attentive impressive personality which helps the candidate in the interview.